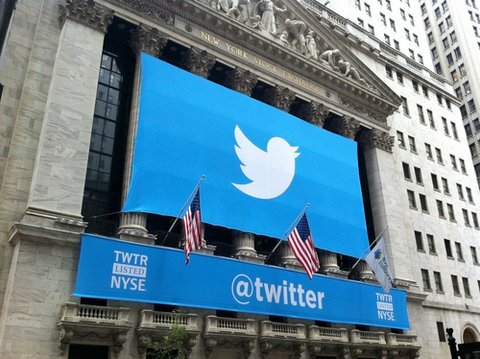 Subject: Will a Management Shake-Up Reverse Twitter Stock's (NYSE: TWTR) 42% YTD Plunge? Twitter Inc. stock (NYSE: TWTR) surged more than 4% Thursday morning on news of Chief Operating Officer Ali Rowghani's resignation. One major factor likely behind the management shake-up is the microblogging site's sputtering user growth. A troubling Q1 2014 earnings report on April 29 revealed that monthly active users (MAUs) – the lifeblood of Twitter – were lackluster, with only a 6% gain since last quarter. And the previous quarter saw only a 3% growth in MAUs. The report also showed that TWTR's net loss grew by more than $100 million. Twitter stock fell more than 8% that day. "The fact that the stock got beaten down [after Q1 earnings release] is not surprising because I think the run-up based on any metric was out of whack," Columbia Business School assistant professor of finance and economics Moshe Cohen said to Slate. "Twitter is a very interesting company, the space is very interesting, but there's still a significant uncertainty and risk as to how to monetize the platform." In an appearance on FOX Business' "Varney & Co." on Dec. 30, when TWTR was trading for more than $60 a share, Money Morning Chief Investment Strategist Keith Fitz-Gerald predicted Twitter stock was in for a rough ride. "Customers are leaving in droves, you've got a complex thing they can't monetize, and the next best thing is a click away," Fitz-Gerald said. Besides a push to improve its numbers, the other reason for the management shake-up is likely Rowghani's loss of favor among Twitter staff. On May 6, TWTR's six-month lock-up period expired, allowing insiders to sell stock following the company's Nov. 8, 2013, initial public offering (IPO). Re/code reported that Rowghani's sale of 300,000 shares of Twitter stock for $9.9 million in profits that day created severe internal tension – it went against other Twitter insiders' vow not to sell as a signal of confidence about the company's future. With Twitter stock down more than 42% year to date, the management shake-up is a clear signal that the company is trying to right the ship by sloughing off internal strife and improving user growth and revenue numbers.